It was a rescue mission, but one that years later turned the tables on victim and rescuer. Abandoned by their own government, American servicemembers who came to the aid of Japanese disaster victims will now benefit from a fund set up for them by a former prime minister. Following a magnitude 9.0 earthquake and subsequent tsunami on March 11, 2011 in Japan, it quickly became clear the rescue work needed far outstripped the capabilities of Japan’s Self Defense Forces. 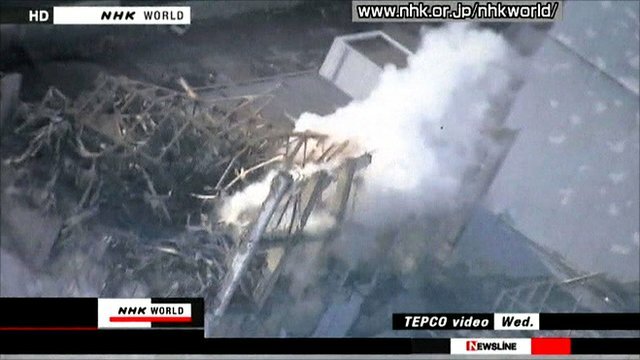 The tsunami, whose waves reached heights of 130 feet, crippled the Fukushima nuclear plant, shutting down its cooling system and causing a nuclear meltdown that devastated the immediate area and at one point threatened to send a radioactive cloud over much of the nation. The United States quickly dispatched an entire aircraft carrier group, centered on the USS Ronald Reagan, some 25 ships, for what came to be known as Operation Tomadachi (Friend). The U.S. provided search and rescue, and medical aid. Thousands of American military personnel assisted Japanese people in desperate need. But it did not take long before the problems started. Military personnel soon began showing signs of radiation poisoning, including symptoms rare in young men and women: rectal bleeding, thyroid problems, tumors, and gynecological bleeding. Within three years of the disaster, young sailors began coming down with leukemia, and testicular and brain cancers. Hundreds of US military personnel who responded to Fukushima reported health problems related to radiation. Some of those affected had worked in the area of the nuclear disaster, some had flown over it, many had been aboard ships that drew water out of the contaminated ocean to desalinate for drinking. All personnel were denied any special compensation by the US government, who referred back to Japanese authorities’ reports of relatively low levels of radiation, and to the military’s own protective efforts. On March 16, five days after the meltdown, the State Department authorized the voluntary departure from Japan of eligible family members of government personnel assigned to the US Embassy in Tokyo and other State Department facilities. Ten days later, the US military moved over 7,000 military family members out of Japan under what was also called a “voluntary departure.” The effort, codenamed Operation Pacific Passage, also relocated close to 400 military pets. And around the same time, the American Embassy repeated a Japanese government warning to parents about radioactive iodine being detected in the Tokyo drinking water supply. Tokyo is about 150 miles away from the Fukushima disaster site. After receiving no help from their own government, in 2013 a group of US servicemembers (now numbering 400; seven others have died while the lawsuit winds its way through the courts) filed a lawsuit against the Tokyo Electric Power Company (TEPCO, the owner of the nuclear plant) seeking more than two billion dollars. This entry was posted in Uncategorized on July 14, 2017 by citizenperth.